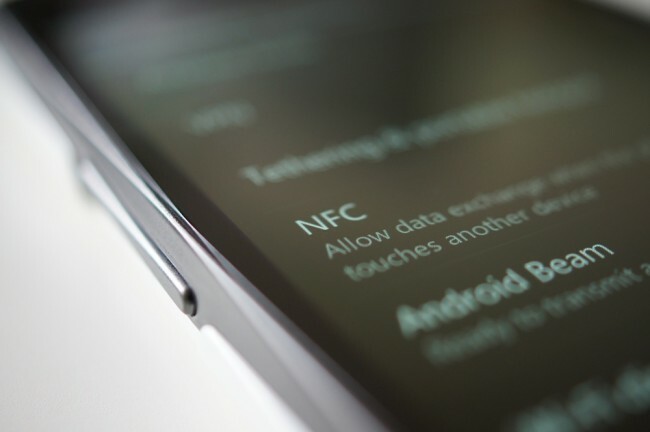 As Android fans, I know that most of us don’t want to hear it, but if NFC (Near Field Communications) is ever going to take off and be widely adopted, we need the iPhone 5 to support it. When the Nexus S was released on December 16, 2010 as the first NFC-enabled phone, Google made an early push to get both businesses and consumers into accepting the idea that their phones could share information by simply touching it to objects. The thought of paying for your morning coffee or cab fare without having to dig into your purse or back pocket seemed so game-changing. Since we all make our phones the most readily available item on our bodies at all times, what a brilliant idea this was. Unfortunately for all of the early adopters, NFC has yet to take off after more than a year. You can blame Google Wallet’s limited release to the Sprint version of the Nexus S only, the lack of manufacturers willing to build the technology into their phones, the yet-to-be-released Isis project by 3 of the 4 major carriers, or the lack of support by the entire credit card industry, but our thoughts immediately go to the one product that none of us care about. Yep, that would be the next iPhone. Should the next iPhone include an NFC chip, investing in some sort of NFC company would be a fantastic choice. As many of you know, meaningful movements take massive numbers in order to be effective. With the number of iPhone users growing by the millisecond, they make up such a massive percentage of the smartphone population that they may be the only group that can get something like NFC to go mainstream. If you aren’t buying that thought, think back about some of the other concepts that Apple was able to leverage into billion dollar money makers. The iPad is for the most part, the only tablet in the world that can turn a decent sized profit after years of attempts by other tech companies, front facing cameras are now a standard in all smartphones, great grandmothers even know how to buy media through iTunes, and the PC world has one focus for 2012 – to create Ultrabooks aka MacBook Air competitors. We need Apple to make NFC happen. As painful as it is to write that, I’m sitting here with my Galaxy Nexus in Portland, OR unable to use NFC in my daily life. Sure, I can tap my GSM Nexus to my LTE Nexus and giggle or I can walk down to the closest McDonald’s to buy a cheeseburger, but do I want to? Not really. I want to buy groceries with my phone, instantly send money to my friend who picked up the bar tab so that the waiter didn’t have to bring us two checks, swap contact info in seconds with a new business colleague, and give the tourist on the street directions to the best burrito cart in the city. That’s what I want to do. So far though, very few people own a phone with an NFC chip. I personally know 2. If the next iPhone adopts it, you immediately have a product with a new technology that millions of people are going to want to use. Not only that, but you have hundreds of companies who are going to want to develop products to use that new technology. And then hopefully, Android manufacturers figure it the hell out and start getting with the times. Like it or not, we need the iPhone this time around, folks.